(Marc Smith/DiscoverMooseJaw) Moose Jaw Warrior fans were treated to two of the best seasons by defencemen in franchise history this past season. Josh Brook came within one point of tying the franchise record for points by a defenceman with 75, while Jett Woo became just the tenth defencemen in Warriors’ history to average over a point per game. Both players also signed NHL contracts during the season. 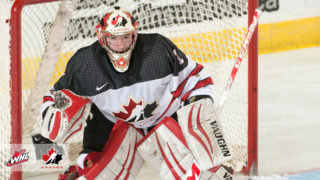 Brook will be moving onto the professional ranks after inking a deal with the Montreal Canadiens and joining the American Hockey League’s Laval Rocket after the Warriors’ season where he’s played in four games. He said his time in Moose Jaw is something that he’ll never forget. “It’s been so special, the people in Moose Jaw have been great to me, the organization is awesome, everyone throughout the whole organization and most of all, the players that I’ve played with, it’s been awesome,” said Brook, who served as the 32nd captain in Warriors’ history this season. 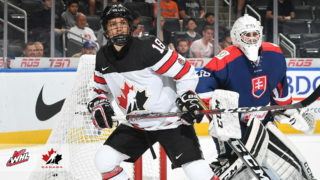 Brook represented Canada at the World Junior Hockey Championship this season and still finished tied for the league lead in points by a defenceman, despite playing in nine fewer games than Saskatoon’s Dawson Davidson. He scored a career-high 16 goals, which more than doubled his career total coming into this season and the most since Travis Hamonic scored 13 in 2008-09. Brook said he grew into the type of player that can post those numbers during his time in Moose Jaw. Woo still has another shot to top his stellar season that saw him score 12 goals and finish with a career-high 66 points in 62 games for the Warriors. 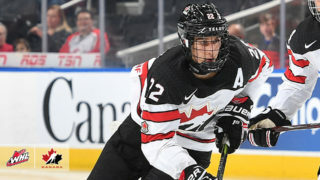 The Vancouver Canucks product said he wanted to take his game to another level coming into the season and he knew that he could do that on the offensive end. “Going into this year and having to step up into more of a leadership role and being put in more scenarios, we had a great season,” said Woo. 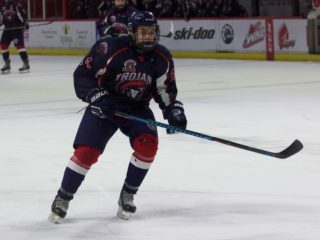 Woo has increased his goal total and point total each season in the WHL despite not surpassing the 65-game total that he posted during his 16-year-old season. The 18-year-old defenceman said this season was a special one to be a part of with the team, “It was pretty amazing what we accomplished, setting a new franchise record for wins on the road, a lot of people in this league would have counted us out from the playoffs in the beginning but we proved a lot of people wrong and had a lot of fun doing it along the way,” he said. Woo served as an assistant captain for the Warriors this season and he said he enjoyed helping to build the strong culture that the team had in the locker room. Woo remains eligible to return to the Warriors next season, but he added that he has his sights set on cracking the Canucks’ roster. Woo is currently with the AHL’s Utica Comets.